NEW DELHI: India saw the lowest number of new investment proposals since 2004-05 during the last fiscal ended March, according to a report. A Centre for Monitoring Indian Economy (CMIE) report has said that this lowest figure of new investments recorded in 14 years added up to “a dismal” Rs 9.5 trillion (9.5 lakh crore). The report added that 2018-19 would be the fourth consecutive year of decline in new investment proposals which began in 2015-16. “Fiscal 2018-19 ended with new investment proposals adding up to a dismal Rs 9.5 trillion. This is the lowest investment proposal recorded in a year since 2004-05, i.e. in 14 years,” the report said. 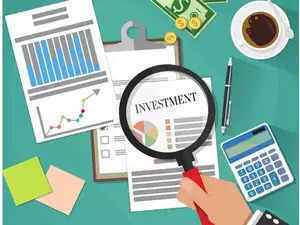 Evaluating the investment trend, CMIE said that the new investment proposals were robust during the five years from 2006-07 through 2010-11 when they averaged Rs 25 trillion (25 lakh crore) a year. The decline, thereafter, was steep and rapid as new investment proposals dropped to just Rs 10 trillion (10 lakh crore) by 2013-14. “A new and promising government in 2014-15 reversed this decline. Investment proposals shot up smartly in 2014-15 to Rs 21 trillion (21 lakh crore). Year 2015-16 was comparable with new investment proposal announcements worth Rs 20 trillion. “But, this pick-up was short-lived and short of the earlier boom in terms of the total size of investments. India never regained the investments exuberance of the earlier boom period,” the report said. “The share of private proposals shot up to an all-time high of 67.5 per cent in 2018-19. But, there is a somewhat bizarre twist to this record. One-fifth of the private sector’s investment proposals made in 2018-19 are already stalled,” it added. On the sector-wise distribution of new project investment proposals, the report noted that the share of manufacturing has risen to 33 per cent, from 26 per cent in the preceding two years. Correspondingly, the share of servicesNSE -0.46 % has declined from 51 per cent two years ago, to 39 per cent. The decline in the services sectors reflects a sharp drop in new investment proposals in the roads sector. The fall in roads projects alone account for half the fall in total new investment proposals in 2018-19, the report added.